As a data center or IT department manager, things are not always straight forward or uncomplicated. In fact, over time, it is likely that a data center or IT department manager will encounter a surprise or two. As time moves along, technology advances, density loads increase and the specific needs of data centers and IT departments evolve. In order to minimize downtime and maximize the effectiveness and efficiency of a data center, it is ideal to anticipate potential surprises and try to mitigate those surprises or prepare potential solutions should a problem arise. Emerson Network Power released a list of 10 common surprises data center and IT mangers encounter to help data centers and IT departments better anticipate and prepare. Rack density is increasing and many data centers and IT departments are scrambling to find ways to handle such a high density. With densities hovering around 7 kW per rack and expectations for them to grow each year (some are predicting 50 kW by 2025! ), it is important to start preparing for higher density racks now rather than waiting until it is a real problem. Bottom line – data center and IT department managers need to be prepared to scale to support future server needs. Water + expensive IT equipment = bad. Data centers or IT departments that experience water damage or flooding damage experience major problems so every effort must be taken to prevent this from happening. New technology may be smaller which means it takes up less space in a data center or IT department but it has shown consume much more energy. IT departments and data centers must prepare to support such high energy demands. Managing different infrastructures is time consuming and confusing. A good DCIM is a must. Mix and match data center components are out – full integration for maximum capability and efficiency is in. 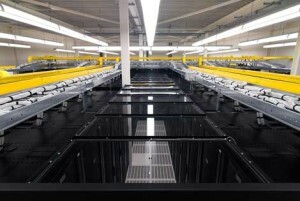 It is no longer necessary to have complicated designs for a data center that take many long hours to bring to reality. A data center can be scaled to the immediate needs and through many plug-and-play options a data center can be created in an instant, wherever there is available space, based on immediate needs. Have you heard of a website hosting a sale that draws so much traffic that it experiences a crash? IT loads can vary significantly depending on the type of business, the time of day or the season. A data center or IT department needs to prepare for drastic changes in IT loads so that there is capacity to handle such changes and prevent expensive and frustrating downtime.